Kolocep, Lopud and Sipan are linked by Jadrolinija's boat to Dubrovnik. There are several sailings each way every day at hours that make each island a convenient day trip. Note that this boat is a passenger boat and can take only passengers. 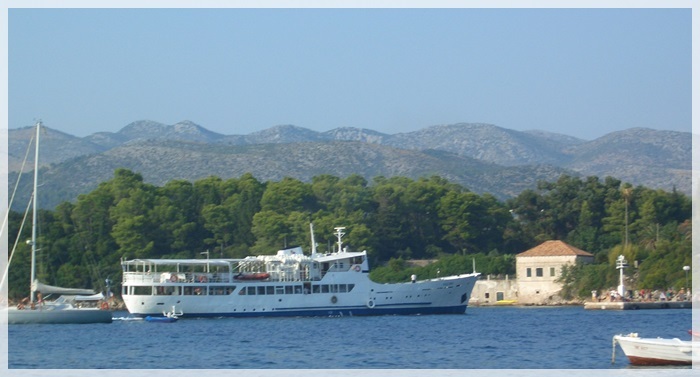 If you would like to take your car to Sipan there is a daily ferry from Dubrovnik to Sudjuradj (Sipan). The island of Sipan (Sipanska Luka) can be reached by catamaran "Nona Ana" on a daily route to Mljet. The boat to the Elaphites departs from Gruz port. This boat runs from Gruz port to Kolocep, further to Lopud and Sipan. If you would like to visit each of the Elaphite islands in one day we advise you to book an organized day tour from Dubrovnik departing from Gruz port. Tickets for this route can be bought at Jadrolinija office just outside the Gruz port as well as on the islands (Lopud, Kolocep and Sipan) and online.